On its own or as an additional component of our strategic Financial Planning Advice we can research your current investment program and determine if you are paying too much in fees, tax or just aren’t getting the best returns for the risk you are taking. Our Investment program is based on the premise that returns are not free and are determined primarily by how much risk you are prepared to take. Within your risk profile we ensure your portfolio is the most efficient, cost effective and tax effective for the risk you are comfortable with. Much like our strategic Planning Service we are aiming to construct the optimal investment strategy using our strategic investment approach. Our Investment Philosophy document (available from your adviser) includes information on how our portfolios are managed with the primary aim of risk reduction, optimisation of returns, lowering tax and cost effectiveness. Our initial investment Plans start at $880. Ongoing fees do apply. The task of investing money wisely has never been more difficult. Not because of the lack of investment options available, but, by contrast, the abundance of them. We live in a time when the apparent investment opportunities have never been so great. Never before have there been so many experts, advisers and brokers offering such a diverse range of plausible options on which is the road to riches. Jigsaw Financial Planning have drawn on years of experience to develop our Investment Philosophy. We understand that managing money is a huge responsibility and having a transparent investment process is essential in educating and building trust with our clients. We believe that helping you to achieve your goals is the most important aspect of financial planning. 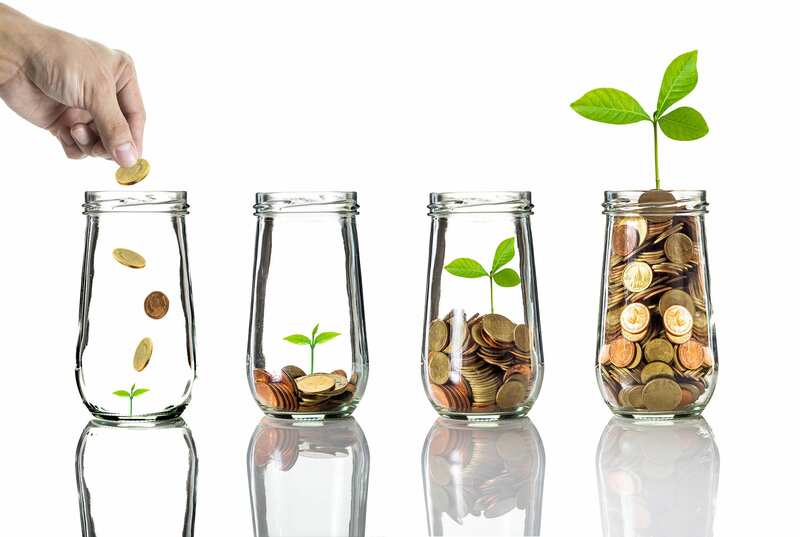 We believe that investment portfolios should be constructed to your meet your specific needs. We believe that in order to get the best result your wealth should be managed to produce the highest probability of you achieving what’s important to you. We invest according to timeframe in consideration with you achieving your goals. We cannot predict short-term market movements. We are unable to tell you that it is time to “get out of the market” or “get into the market” Therefore we only invest long-term funds for you when completely satisfied that short term risk is not an issue. We are investors, not speculators. We believe in building your wealth over time, using savings and discipline. Speculation on hot tips involves luck rather than skill and is not something we offer clients. We believe that diversification is important. Sometimes called the “only free lunch’ in the investment world, it enables you to sleep at night knowing that you have a very wide spread of investments across all of the major asset classes. We also believe in the value of low cost index investing. This can provide you with a well-diversified core to your portfolio. We bring investment expertise to the relationship but not in the way most clients perceive. We will rebalance and ensure appropriate diversification. We will ensure that your risk tolerance is respected in order to achieve your goals. We will not be measured on portfolio returns as these are out of our total control. Regular reviews of your investment management portfolio lead to higher returns and ensure that your portfolio remains best fit for you. Your circumstances, investment experience, risk and return objectives and financial constraints, change over time. Regular review ensures that this information is updated when it changes. This allows us to help you stay the course and make adjustments as necessary. Even the best investment management strategy needs to be adjusted to stay on track. To ensure your portfolio continues to provide you with the highest probability of success we rebalance your investment management portfolio as required. A study by US financial services research group Dalbar shows how ruinous investors poor investment behaviour can be to their wealth creation. In the 20 years to 31 December 2013, Dalbar computed the “average stock fund investor return” by using industry cash flow reports from the Investment Company Institute. The “average stock fund return’ figures represented the average returns listed in Lipper’s US Diversified Equity fund classification model. The average stock FUND return was 8.70%p.a. but the average stock fund INVESTOR return was 5.0%! This 3.7% return differential compounded over the 20 year period would have had a HUGE effect on the investor’s total return. Dalbar concluded that investor returns are markedly different from the returns promoted by fund managers because most people try to time their entry and exit points – and often get it wrong, often selling out of their investments in volatile periods and re-investing after most of the gains had been made. A close relationship with a quality financial adviser can steer you away from these very common behavioural mistakes, help you avoid destroying investment returns, making sure you achieve your investment goals. The most important decision for your investment portfolio is your recommended asset allocation. This is because numerous studies have shown that your chosen asset allocation is responsible for more than 90% in the variability of returns between portfolios. Costs are a pervasive feature of the investment management industry and can take the form of management expenses or other related fees applied to investors’ capital as it changes through time. Cost is therefore a drag on net performance. In contrast to the uncertainty about future returns on securities and asset classes that characterises financial matters, minimising costs is a certain way for managers to influence investment performance in a positive manner. Access to a manager that obtains the market return at a very low cost is an essential building block of our firm’s investment philosophy. Investors can’t control the markets, but they can control how much they are willing to pay. Every dollar that investors pay for management fees or trading commissions is a dollar less of potential return. In addition, our experience has been that, historically, lower-cost investments have tended to outperform higher cost alternatives in the long term. from our super as expected. Thank-you for all you have done to make our transition to retirement so easy.